With nearly 50 years of manufacturing experience. Guocera is the tile brand of choice in over 50 countries from the America and Europe to the Middle East and Asia-Pacific. 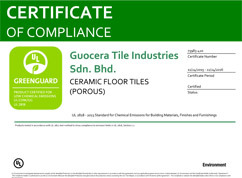 Guocera is one of Malaysia’s largest manufacturers and exporter of tiles. Whether residential, commercial space or public infrastructure, you can find Guocera inspired homes, iconic office buildings, airports, schools and complexes all over the world. Guocera helps to create inspirational environments in which people can live, work and play. Modern manufacturing facilities in our plants employ the latest production technologies and design to meet ever growing global demands and expectations. All our products meet international quality standards ensuring world class quality for our domestic and international markets. Consumers can be confident that Guocera’s products are aesthetically attractive and durable. 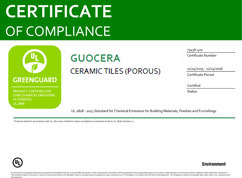 Guocera also boasts a dedicated R&D centre (Ceramic Research Company-CRC) which is ISO-IEC 17025:2005 accredited, the only one of its kind in South East Asia. At CRC, comprehensive analysis and testing of raw materials are conducted according to stringent measures, resulting in unmistakable quality and reliability that are the hallmarks of Guocera tiles. 1970- 1st Plant. Mosaic factory in Kapar, Klang under ATW- Associated Tile Works. 1970- Commenced domestic sales through Hong Leong Co. Trading and Hong Bee. 1978- 1st Export of mosaics to Singapore. 1979- 2nd Plant. VHT factory in Meru, Klang under ACW- Associated Ceramic Works. 1988- 3rd Plant. Ceramic floor tiles in Kluang. Johor under FEI- Far Eastern Industries. 1990- Acquired floor tile factory in Labuan. East Malaysia under Ceramic Solare. 1990- Kluang factory began production of double firing wall tiles. 1991- Formation of Quayline Marketing as domestic sales & marketing arm. 1992- 1st Monoporosa (Single Firing) wall tile plant in Malaysia with technology transferred from Marazzi, Italy. 1993- Setup 3rd firing decorative tile plant in Kluang. 1993- Established ceramic research lab accredited by ISO/IEC. 1st independent lab in ASEAN. 1993- Birth of brand "Ceramiche Guocera". 1995- All factories accredited with ISO. 1995- Embarked in 5S journey. 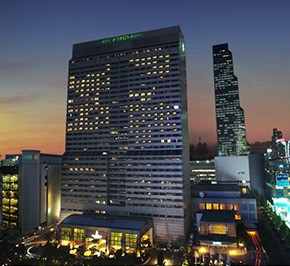 1995- Established new company in Singapore known as Guocera Marketing Singapore Pte Ltd for Singapore and export sales. 1995- Established new Sales & Marketing Company known as Guocera Marketing Sdn Bhd for domestic sales. 1996- Introduced new tagline "The One Stop Tile Centre". 1996- 1st Production of Rotor Technology in Malaysia & Laser Lab in ASEAN. 1996- Expanded monoporosa wall tile- plant 3 in Kluang. 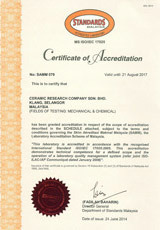 1997- Our ceramic lab was granted status approved R&D company. 1998- Set-up CRC in Kapar, Klang. 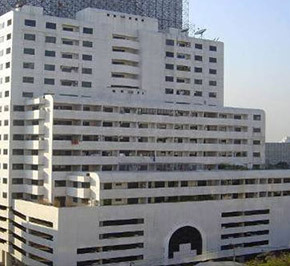 Known as Ceramic Research Centre. 2000- Launched our new tagline "Life's Inspirations". 2001- Launched our flagship lifestyle gallery in PJ. 2005- Reached milistone-sold to 50 countries around the world. 2007- 1st Pilot Plant in Malaysia for new product development. Awarded the Industry Excellence Award by Ministry of International. Trade & Industry Malaysia. 2008- New chapter upper out standard from 5S to 6S. 2008- Awarded ISO 14001 Environmental Management System. 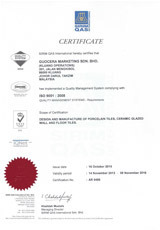 2009- Established new company known as Guocera Marketing International Sdn Bhd for export sales. 2009- Set-up new plant 5 for porcelain in Kluang. 2010- 1st overseas plant in Vietnam known as Guocera Tile Industries Vietnam. 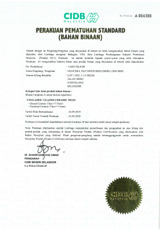 2012- Awarded SIRIM ECO-LABEL for ceramics. Installed 1st Inkjet printer in ceramic plant. 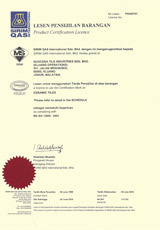 2012- Awarded OHSAS 18001 for Occupational Health & Safety Management System. 2012- 1st in Malaysia to launch world's largest tiles 1500x3000mm. 2013- Logo transformed to reflect new era. 2013- Launched Sales Gallery in Johor Baharu. 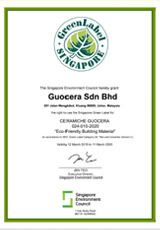 2014- Awarded Singapore Green Label for ceramic. 2014- Launched 1st Experience Centre Penang. Launched 1st concept shop in Klang Valley. 2014- Launched 2nd Experience Centre in Melaka. 2015- Transformation of PJ Gallery. 2015- Launched 3rd Experience Centre in Ipoh. 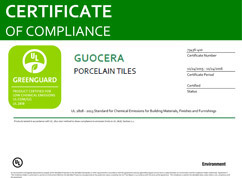 2015- Awarded GreenGuard for porcelain and ceramic tiles. 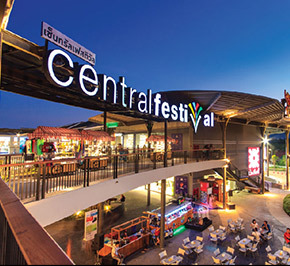 2016- launched 4th Experience Centre in Kota Kinabalu. 2016- Launched 5th Experience Centre in Kuching. 2008- New chapter upped our standards from 5S to 6S. Guocera Tile Industries is a member of the Hong Leong Group, a Malaysian conglomerate with diverse business interests in various countries globally. CERAMICHE GUOCERA ranks among the most reputable brands in the global marketplace, supplying tiles to many prestigious commercial and residential development projects in over 50 countries worldwide. We provide a complete range of products ranging from glazed wall & floor tiles, porcelain tiles to fashionably crafted decorative accessories. Our team of more than 1,600 employees in our operations in Petaling Jaya, Kluang and Meru are committed to providing the best products to our customers wherever they are in the world. In line with our continuous quest for growth and globalization of our business activities, we seek ambitious and dynamic professionals to join our team. 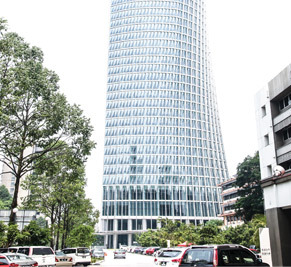 Hong Leong Group is involved in a wide range of manufacturing and distribution activities that generates a revenue base exceeding USD 2.5 billion. The Group's manufacturing and distribution operations and products are represented and distributed by a worldwide network of branches, appointed distributors and agents. Leveraging on its diversity and strength, the Group is committed to producing goods of the highest quality at affordable prices through continuous improvement, innovation, research and development. 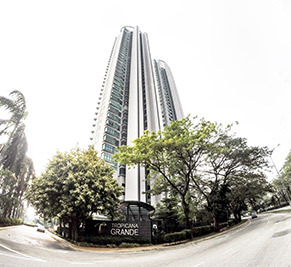 Tropicana Grande is a luxurious golf-fronted condominium nestled in the vicinity of Tropicana Golf & Country Resort. 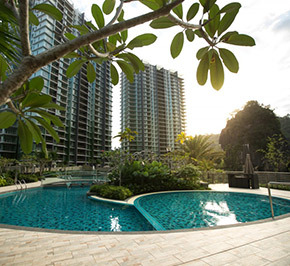 Sprawling over 5.17 acres of leasehold land, this majestic condominium comprises four blocks of 38 and 39-storey towers that house a total of 328 units. 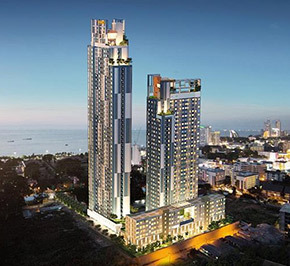 The iconic mega development on Penang island's eastern coastline, showcasing the best in integrated waterfront living in one dynamic hub. 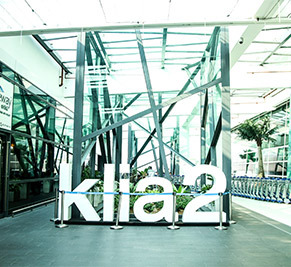 The new Malaysia Airport KLIA2 is measured to be at least 257,000 sqm, with 60 gates, 8 remote stands, 80 aerobridges, plus a retail space of 32,000 sqm to accommodate 225 retail outlets. 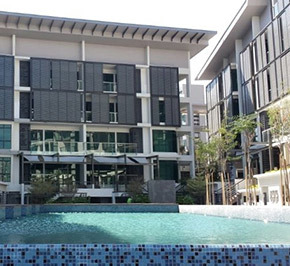 The Haven Lakeside Resort Condominiums is the most luxurious Condominium Development in Ipoh, Perak Malaysia. 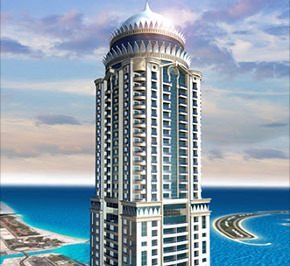 3 Towers 26 stories high make up 512 units of high end luxury condominiums. 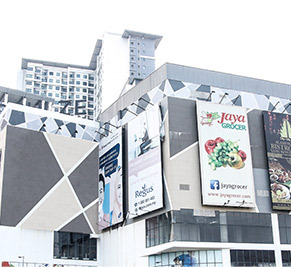 Kompleks Kerja Raya 2 (KKR2) is a 6-block office complex masterplan on an existing 1 million sq ft site, strategically located at Jalan Sultan Salahuddin, Kuala Lumpur. 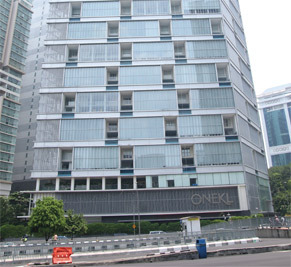 One KL is a prestigious residential condominium project located in the heart of the KLCC district. 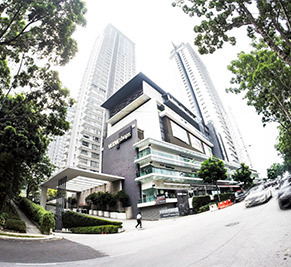 This 35-storey freehold condo consists of a total of 94 duplex units and each unit has a built-up area of about 3,285 sf. 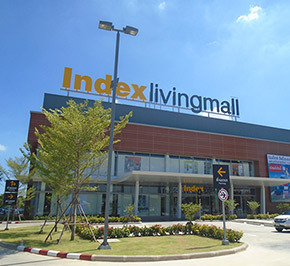 DPulze is a neighbourhood mall, smaller in size than a regional mall, but conveniently located and has a variety of retail outlets, from entertainment to a supermarket which caters to the needs of the surrounding community. 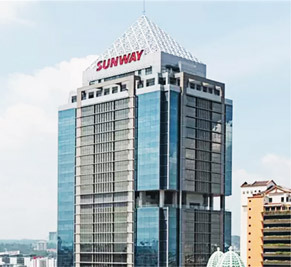 The Pinnacle offers a unique corporate environment in Sunway Resort City, within the vicinity of Bandar Sunway, Subang Jaya.